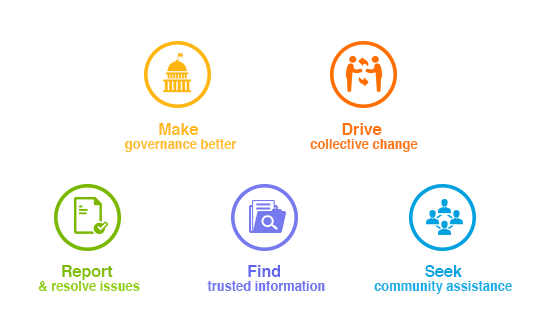 31 January, 2017, New Delhi: FSSAI (Food Safety & Standards Authority of India) today announced the availability of India’s online “Food Safety” community via citizen engagement platform LocalCircles. 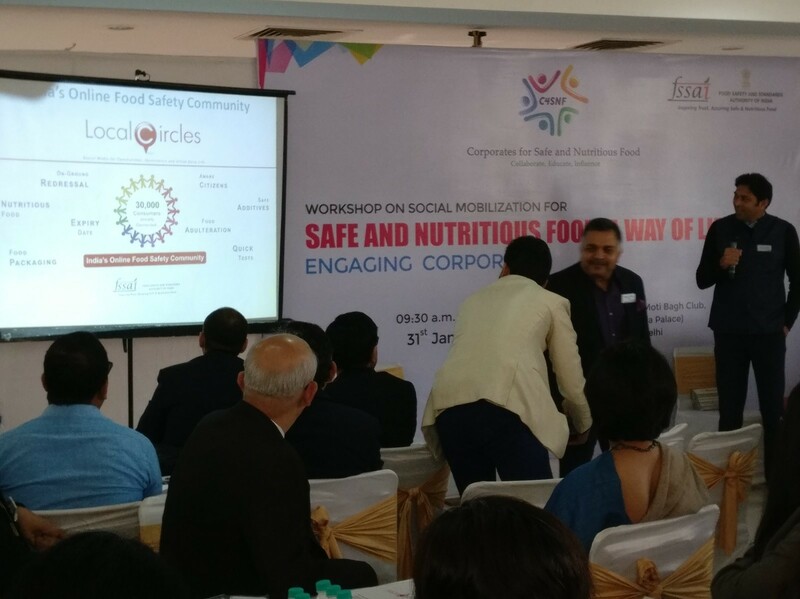 This announcement was made at an event on ‘Social Marketing of Safe and Nutritious Food’ organised by FSSAI, which was attended by the top 40 food brands of the country committed to ensuring food safety in India. This online community enables any consumer from across India to get and stay connected with others who care about Safe Foods and FSSAI, share their experiences in regards to Food Safety, best practices, stay aware of prevailing issues, participate in Food Safety policy and help make foods safer in India. The platform will serve as an online ecosystem of Food Safety through which FSSAI will create awareness about different food safety related information like adulteration, food tests, prevailing issues and seek inputs of citizens. Access will also be enabled for all Food Safety Commissioners and Inspectors from across the country and city level communities will be rolled out to enable local redressal and knowledge sharing. During the soft rollout phase, over 30,000 active consumers from across India have become part of the online community. Several structured discussions on various aspects of Food Safety are underway and various new subjects will be undertaken every week such that awareness about Food Safety significantly improves amongst the citizens. NGOs, Food Brands, Schools and other organisations will also be roped in to enable an online ecosystem focused on Food Safety. Citizens are already bringing up issues like chemicals being used to ripen fruits, artificial colours being added to vegetables to make them look greener, wax being applied to apples, manufacturing/expiry dates being changed by vendors on imported food products etc. to FSSAI’s notice. Citizens have also been brain storming about various ways in which awareness can be created among street food vendors about safe food principles.